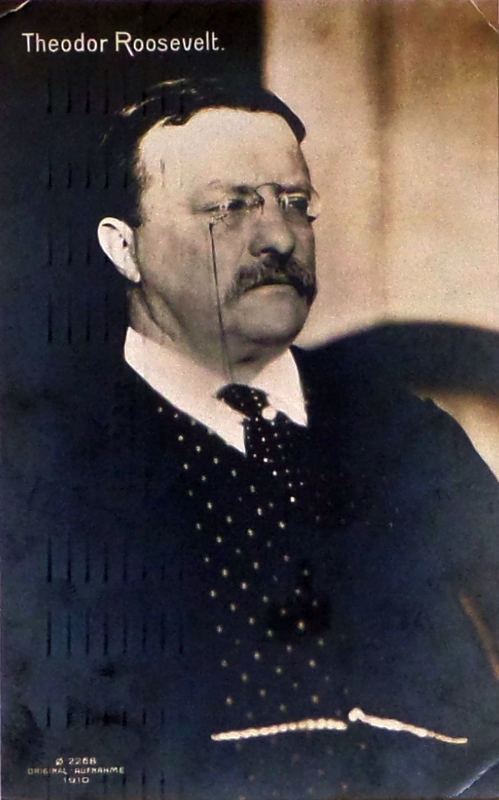 Former US-president Theodore Roosevelt, whose nickname was "Teddy" went to a hunting expedition to Mississippi, in November 1902. As he wasn't lucky enough to find prey, he was offered a young black bear as compensation. But the enthusiastic big game hunter indignantly refused to shoot the little bear. Clifford K. Berryman, a cartoonist of the "Washington Post" draw the scene: The huntsman Roosevelt felt for the little bear. Relating to this incident, the Russian immigrant Morris Michtim is said to be the first person, who brought little toy bears on the market. His wife Rose had designed them. Legend has it, that the president allowed to name the toy "Teddy's bear". That was the beginning of teddy bear's worldwide success story. At the same time in Germany, Margarete Steiff was a businesswoman from Giengen (near Ulm), who asked her nephew Richard Steiff to design some stuffed animals. In 1902 she developed the first flexible toy bear, inspired by a visit in the Nillschen Tiergarten, a zoo in Stuttgart. In 1903, this toy bear was presented under the name "Bärle" on the spring fair in Leipzig. 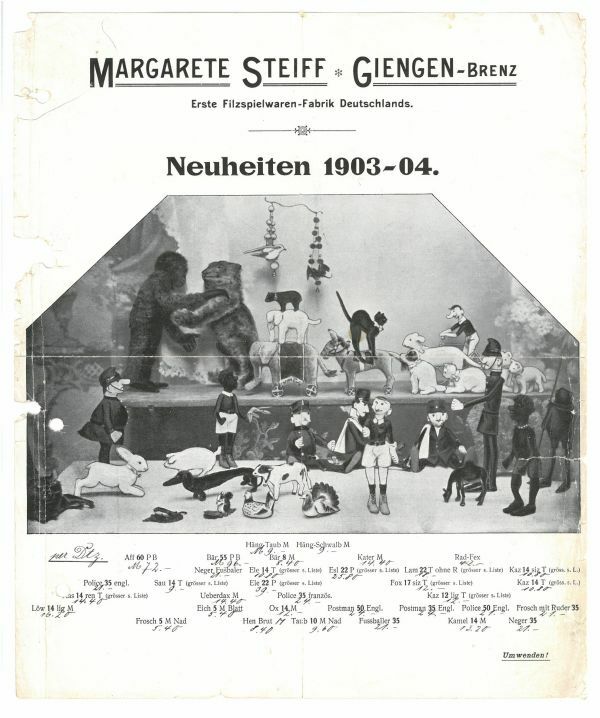 Newsletter 1903/04 of Spielwarenfabrik Steiff – the first advertising for “Bärle”. The demand was low at first, but then on the last day, an American trader from New York placed a big order. The company was saved, and so the little fluffy bear started his successful journey around the world. In 1912, Theodore Roosevelt used Teddy bears for his presidential campaign.